Review of "White Rabbit" at TWIST by Three Dollar Bill Cinema. Written by Katherine K, during TeenTix’s arts criticism training workshop, the Fall 2018 Press Corps Intensive. "White Rabbit" centers around Sophia, a Korean American queer woman who immigrated to the US when she was seven and lives in Koreatown, Los Angeles. She is a performance artist who often speaks at significant places where Koreans and Korean Americans gather. As someone who lived in Koreantown, I recognized many of the locations where scenes of the movie were filmed such as the Koreatown Plaza, making use of authentic locations. As a Korean American I was able to understand many of the cultural insights and I felt this special connection to the movie. I really enjoyed it. There were also parts of the movie that were in Korean. For every movie, there’s different levels of understanding and this is one of the reasons why I got to a deeper connection than other films I’ve seen. In my favorite scene in the movie, Sophia was speaking at the public park about the LA Riots, a significant part of the Korean-American civil rights movement in Los Angeles. As Sophia (Vivian Bang) was giving a talk about the LA Riots and how Koreans were targeted, Victoria, an African woman her age approaches her and has a discussion with her. After their discussion, as she's walking away, I noticed she had the words “Black Lives Matter” written on her back. As with many other movies, there is a love interest: Victoria, played by Nana Ghana. Throughout this movie, Sophia’s thoughts on Victoria change and she begins to fall in love with her, and thinks the love is also reciprocated. This film follows Sophia’s “starving artist” journey through life. Nana Ghana and Vivian Bang in a film still from "White Rabbit." At the beginning of the film, I was unsure the direction it would be going, however, now that I do know where it went, I want to see if the beginning makes more sense or correlated better with the rest of the film. This film is very valuable in the AAPI LGBTQIA+ community and more specifically, the Korean-American Queer community. Personally, I really enjoyed this film and would definitely love to see it again because it was quite short and had many details that I could’ve easily missed. Some of the critiques include the actors. It would have been nice if they would have used a Korean actor for the mother, Elizabeth Sung, because there are many Korean or Korean American actors that I feel they should’ve used. Finding actors that would represent the cultures may bring their roles to life in authentic ways. Overall, I would recommend this film to anyone interested in learning about a Korean American Queer woman’s journey through Los Angeles as a “starving artist”. There is so much to learn culturally through this film, and through the humor and truth, creates deep viewer impact. This review was written as part of the Fall 2018 Press Corps Intensive. It was edited by teaching artist and critic Ma'Chell Duma. 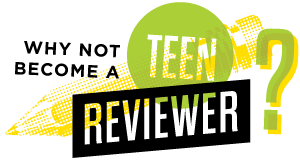 The TeenTix Press Corps promotes critical thinking, communication, and information literacy through criticism and journalism practice for teens. For more information about other Press Corps programs including the Teen Editorial Staff or the TeenTix Newsroom, see HERE. Newer: Members-Only Offer: 300 FREE Tickets to Jingle All The Way!